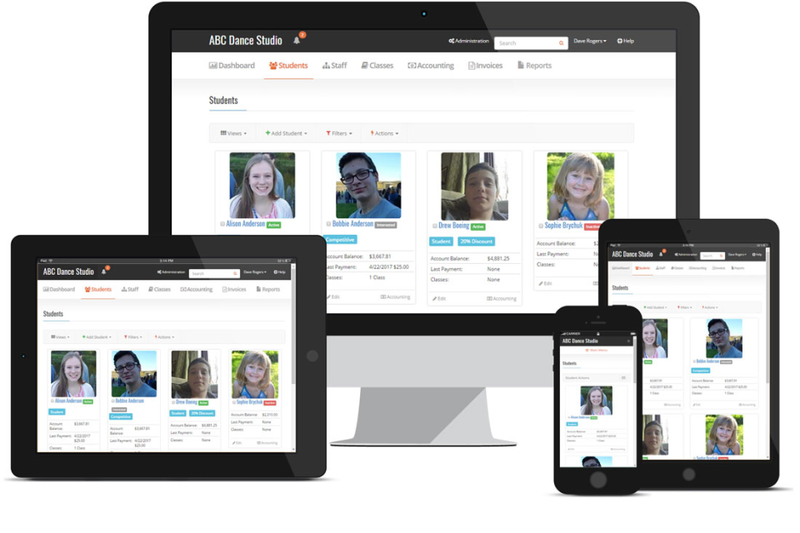 Studioware 2.0 is the perfect solution for any size Dance School. Studioware can accommodate a single location, multiple locations, hundreds of staff members, and thousands of Students/Enrollments. 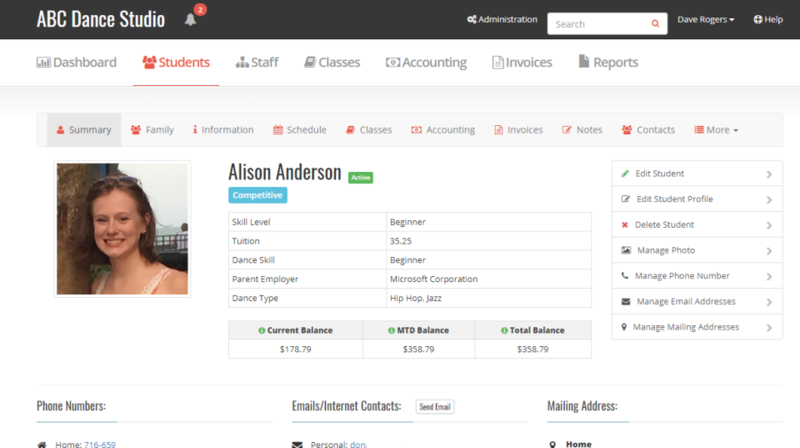 Studioware 2.0 is the easiest way to manage your Dance Studio. Studioware is cloud-based software that has all the features needed to run a successful business, including: Student, Staff, & User Management, Online Registration & Enrollment via a Business Portal, Private, Group, & Drop-In Classes, Full Accounting & Invoicing, Online Payments via PayPal & Authorize.Net, Extensive Student & Financial Reports, Emailing, Waivers, Multi-Locations, Texting & more. Try the Free 30-Day Trial Today! So much better. I left a previous review, couldn't edit it so I'm here to say it's def improved! Cons: It still lacks a bit of feature I'm looking for. 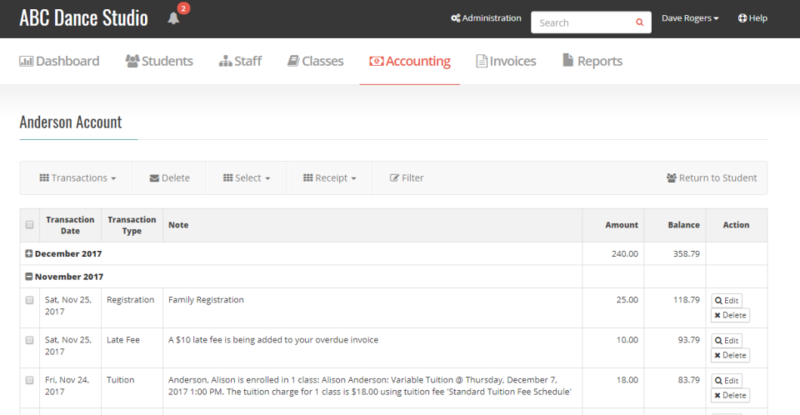 I'd love to filter and see actual currently enrolled students and make session-based classes easier to create. I've had a lot of issues trying to make that work and nothing has stuck that isn't a lot of work yet. Overall: I think it depends on the type of program and needs you have. But it's a great program compared to others I've tried. Pros: Best value in terms of functionality, ease of use, configurability, set of features and cost. Can be easily configured to support any business model in our sector. Accommodates multiple revenue models, very strong invoicing functionality and an excellent customer self service portal. 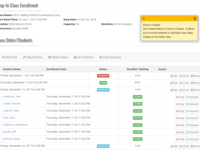 After implementing this system our paper enrollment was reduced to 2% of all students. Online payment processing is now used by 70% of our customers. Excellent time saving and automation of administrative overhead for us. Communication module gives this system an excellent customer service edge. We use it for all email distribution to current and prospective students. Cons: Ability to build custom reports would allow us to slice and dice data for analysis a bit better. However, I am not sure if any other similar system allows for custom reporting either. Overall: When selecting a system for Dance, Fitness, Sport or similar enrollment/registration business do not fall for marketing pitches. Try each system first. Studioware must be on your trial list. This is the program that I have always been looking for, so glad I finally found it! 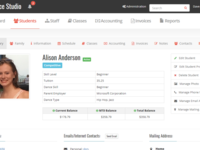 Pros: It's very versatile, easy to use and is great for keeping track of all aspects of my student information. Cons: Monthly fee to use the program. Limitations on the number of students / customers that you can add to the database. 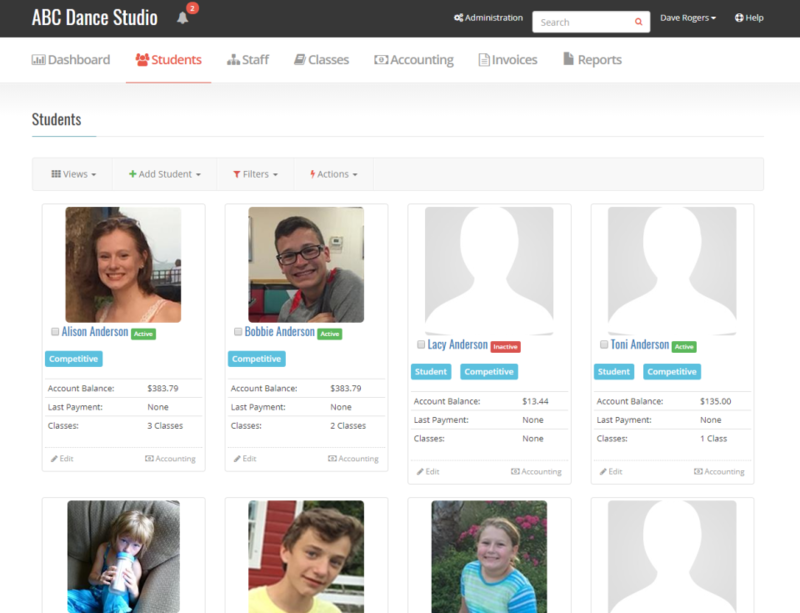 Pros: We run a dance studio that sees 100-150 students per year through the door and find Studioware very easy to use and we were able to get up and running very quickly. Invoicing by email with PayPal payment option works great. 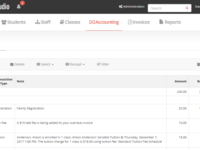 Bulk processes automate data entry (i.e., tuition generation). Customer support has been awesome (they restored 80 accounts I mistakenly deleted). Can't beat the price. Cons: Missing some of the features of the pricier dance studio apps out there. Would like to see some things be more configurable, like discounts, and more customer relationship management features. 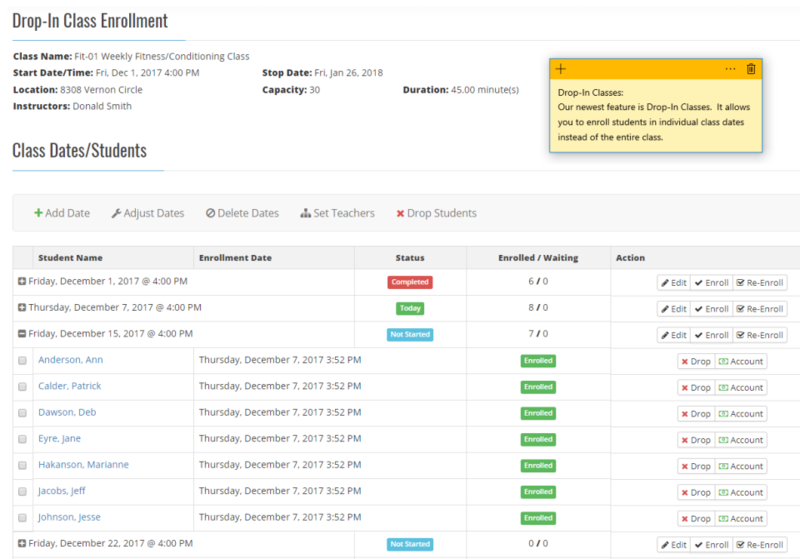 Overall: Overall this is a great, and very solid, program for tracking students, student accounts, and classes. 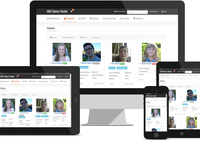 It is a great value too compared to other cloud based accounting type programs. Customer support is awesome. Comments: This is a good value program, however, the invoicing needs much improvement! First, when parents receive an invoice all they see is what is being charged without a running balance. If they are invoiced for 3 months, it shows all charges for 3 months and if they want to know what their balance is through month 2, they have to add it up. Also, when they see their total due, they only see what is due through that particular invoicing period. If they had paid a large chunk, it says they have a $0 balance, even though they still owe for 7 more months! Billing is the most important reason for us having this and it is a bit of a nightmare when parents start coming in and complaining about their bill. The customer service is just not readily available and you will need to pay if you need help after your initial set up.